The Adrianne Aqueduct is a 300 years old building in Kolonaki, where the waters from Mountain Parnitha would gather to supply water to the greek capital. The Aqueduct has been closed to public visits for several decades. 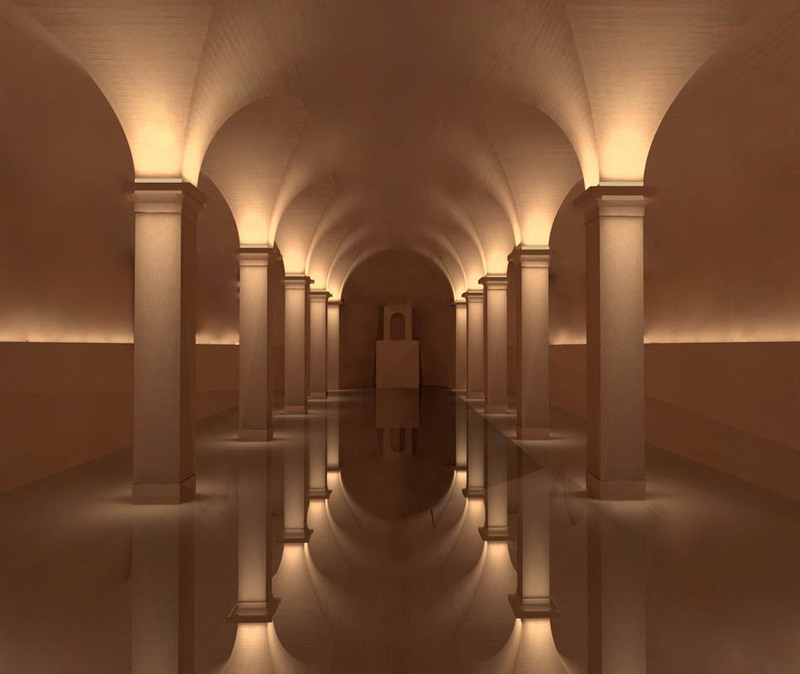 In 2018 EYDAP SA (the greek municipal water supplier) decided to open the building to the public and make it a touristic attraction site. Glass windows replaced the front wall of the Aqueduct so passers-by can look and admire the inner geometric architecture of it. 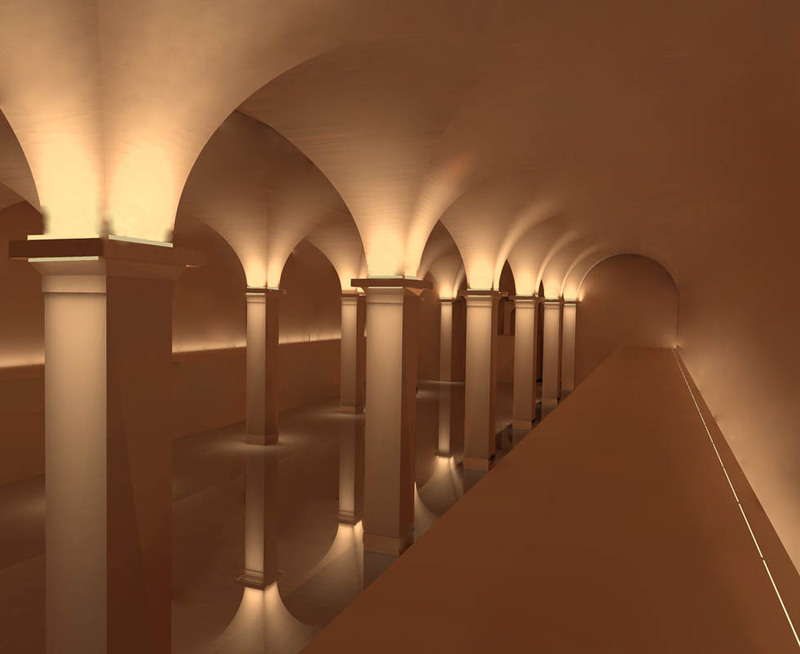 Creative lighting was hired to highlight its mystic atmosphere, enhance the strong architectural identity with the repetitive architectural patterns of it, while taking into consideration, at the same time, the fact that this is considered a preserved archeological site. 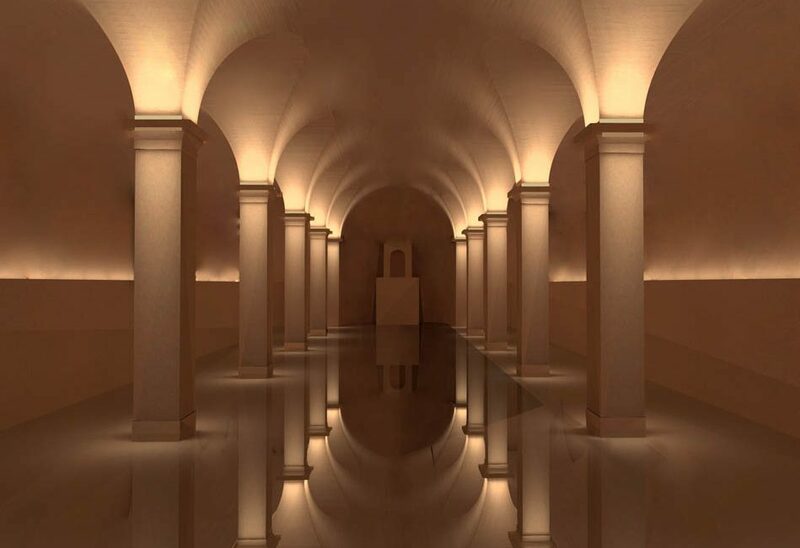 The Community of Antiquities approved of the lighting proposal in the end of 2018.